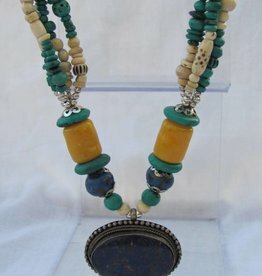 Necklaces hand made in India with decent working conditions, small scale production units and collectives. 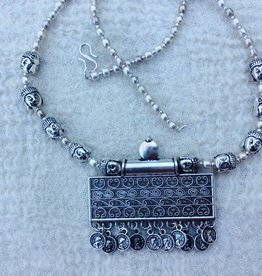 Most of our costume jewelry necklaces are made in old Delhi and because Old Delhi is predominately a Muslim area of the city you can say that most of our necklace are made by muslims who are (in general) discriminated against in modern Indian society. 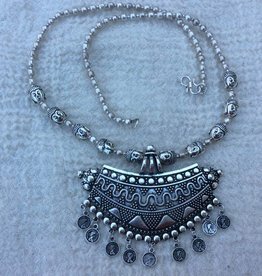 India jewelry. 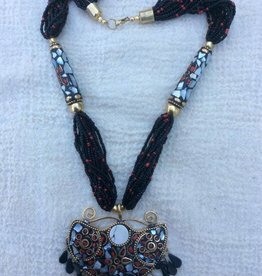 Hippy necklace is handmade in old Delhi.Hand embroiderd with many rows of tiny seed beads. 70cm at the longest point with a chain from 20 cm at the back. 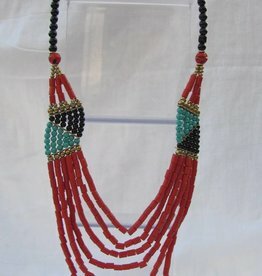 Necklace from 52cm long with a tassel hanging underneath it. 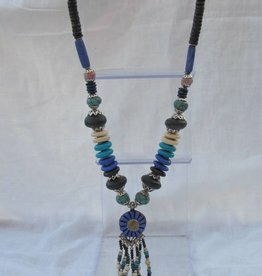 The tassel is made of big resin bead and little bone glass and metal beads, all hand made. 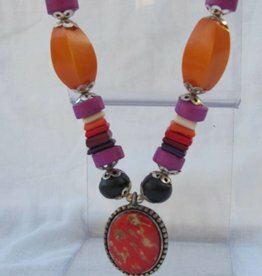 Hand made is a small workshop with good working conditions in old Delhi. 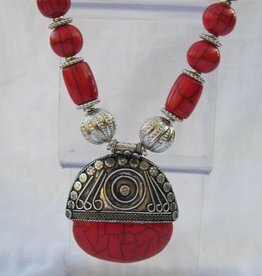 Necklace ingeniously woven from hand made glass beads and brass wire by Muslims in old Delhi. 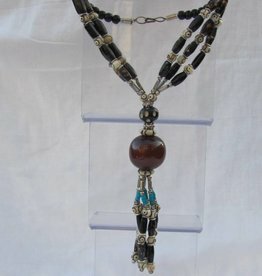 Adjustable chain to 49cm length. 39cm long. 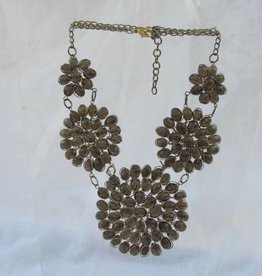 The longest metal piece is 5cm. Threaden on vegetarian leather. Made by muslim men in Old Delhi.